Beyond its beaches and food, Puglia is a particular draw for those interested in studying the history of the world. The history of Puglia dates to antiquity and the region played an especially important role in the Roman Empire. One day, while I was driving around the Brindisi area in Puglia, I turned onto another road and saw a sign ‒ Via Appia. 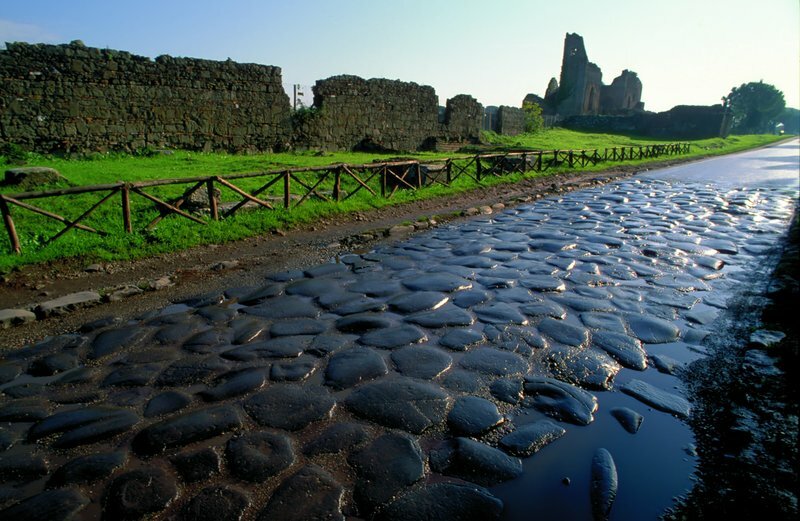 It struck me that I was driving on a portion of the Appian Way, one of the oldest roads in the world. Now, Italian Culture Minister Dario Franceschini says he hopes to be able to allocate funding from the European Union (EU) toward a project to boost tourism for hikers along the Appian Way. If the project succeeds, it can help Puglia, and Southern Italy as a whole, restore and preserve a priceless historical and archaeological resource, as well as provide new opportunities for tourism in less-traveled areas. Click here for more information about the Appian Way project. The outbreak of the killer bacteria Xylella fastidiosa that has afflicted millions of olive trees in Puglia has been making news since early 2014. 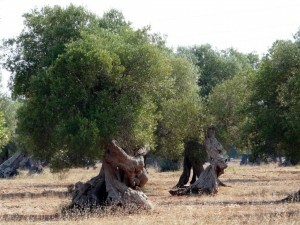 Now, a group of olive growers in the Province of Lecce plan to take legal action against the European Union (EU) over measures being tried to contain the outbreak ‒ measures the farmers contend are transforming their groves into “open-air cemeteries,” International Business Times reports. At the heart of the threatened legal action is the contention by the growers association, La Voce dell’Ulivo (The Voice of the Olive Tree) that the measures being taken by the EU are not based on science. Rather, the growers claim, the measures are jeopardizing an ancient industry ‒ one that plays a significant role in Puglia’s tourism. Read more about the issue here. We are proud to announce that the documentary film “The Barese Ice Men of New York,” which our association has helped to produce, will be presented on Nov. 14, 2015, at 7 P.M. at the Westchester Italian Cultural Center, 24 Depot Square, Tuckahoe, NY. Carlo Magaletti, the director of the film, is working on the final stages of the post production and asks for help to complete the film in the best way possible (sound correction, color correction, payment of royalties for good music, and for some vintage footage). With a donation of at least $50 you can enter in the credits of the film your name/family and your own photo and get a gift copy of the DVD. With $100, in addition to the above, you will receive two tickets to the premiere on Nov. 14 (only 20 still available). 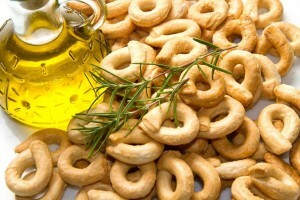 Taralli are the go-to snack food for most of Southern Italy. Similar to a breadstick, these delicious rings are made in several regions of Italy and of course they can be made in several different ways: plain, with eggs, with wine, or spiced with fennel seeds or cracked black pepper. Try different recipes with Chef Linda, and learn how easy it is to make this perfect snack, when the Westchester Italian Cultural Center in Tuckahoe, NY, presents “Cooking Class: Taralli” on Sept. 24 from 1 to 2:30 P.M.
Attendees must register in advance and pre-pay. Members $40, non-members $50. Kindly RSVP at least 48 hours in advance. To register, please call (914) 771-8700. The Center is located at 24 Depot Square in Tuckahoe. For further information about the Center, its activities and travel directions, click here. In what The New York Times called “one of the biggest surprises in tennis history,” the unseeded Roberta Vinci, playing in her first Grand Slam semi-final, defeated No. 1-ranked Serena Williams, 2-6, 6-4, 6-4, at the U.S. Open on Friday, setting up an all-Pugliese final match on Saturday. 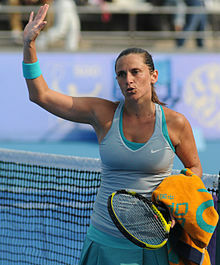 Vinci, born in Taranto and now residing in Sicily, will face Flavia Pennetta, who was born and still lives in Brindisi, for the championship in New York City. Pennetta, the No. 26 seed, reached the finals by upsetting the No. 2 seed, Simona Halep, in Friday’s first semi-final, 6-1, 6-3. The Times also notes that the match is noteworthy in that it will feature the oldest players, in terms of combined ages, in a women’s major final. Pennetta is 33 and Vinci is 32. Read all about the history-making tournament here, here and here. In a letter to Archbishop Georg Gaenswein, Pope Francis’ personal secretary, the mayors of 19 municipalities in Puglia have invited the Pope to visit the Region of Puglia, in particular Latiano, a city in the Province of Brindisi, on the occasion of the 35th anniversary of the beatification of blessed Bartolo Longo, founder of the Basilica at Pompeii. Longo was born in Latiano. In addition to Latiano, the municipalities represented are Bari, Brindisi, Carovigno, Ceglie Messapica, Cisternino, Erchie, Fasano, Francavilla Fontana, Galatone, Mesagne, Oria, Ostuni, San Michele Salentino, San Pancrazio Salentino, San Vito dei Normanni, Torre Santa Susanna, Taranto and Villa Castelli. Learn more about the invitation here. Flavia Pennetta (top photo), born and still residing in Brindisi, joined Roberta Vinci (lower photo), born in Taranto (now living in Palermo, Sicily) in the semi-finals of the U.S. Open Wednesday, the first time Italy has had two players in the semis at Flushing Meadows, NY, the Italian news agency ANSA reported. Vinci faces top-ranked Serena Williams and Pennetta will play second-ranked Simona Halep. Click here for complete, up-to-the-minute results from the U.S. Open’s official website. A year ago, I posted two blog items (here and here) reporting on the high-end U.S. tour operator Tauck’s 2015 entry into Puglia with a new week-long itinerary. A year later, it’s obvious that the new program is a success, and Puglia is all the more stronger for it. The originally scheduled 10 departures sold out, so the tour operator had to add eight more that also sold quickly. Puglia is certainly making news and gaining popularity in international markets in 2015 (read here about the latest visit to Puglia by Richard Gere and a couple of friends) and Tauck’s success with its new Puglia itinerary is just one more endorsement of the region as a world-class destination. 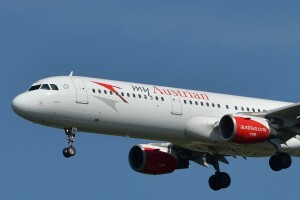 Austrian Airlines is expanding its network of tourist destinations in Italy by introducing high-season, once-per-week flights to Bari in May 2016, the carrier announced in a press release, representing another boost to Puglia’s ever-strengthening tourism industry. The Thursday departures from Vienna to Bari, with a stopover in the Calabrian city of Lamezia Terme, begin on May 26, 2016. Bari, the capital of the Region of Puglia, will be offered for the first time in single-seat sales. This means the flights can now also be directly booked on the Austrian Airlines website for the first time. Austrian Airlines will operate the Bari flights on Thursdays deploying a Fokker 100 aircraft from May 26 to Sept. 22, 2016. Airfares start at 149 euros one way, including taxes and charges. The flights can be booked now at http://www.austrian.com/holidays, by calling 0820 320 321 in Austria or +43 5 176 676 700 from abroad or by a travel agency. The “Barese Icemen” are coming! 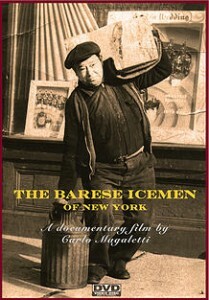 After years in production, the documentary “The Barese Icemen of New York” has been completed and will be shown for the first time on Nov. 14, 2015, at 7 P.M. at the Westchester Italian Cultural Center in Tuckahoe, NY. “ ‘The Barese Icemen of New York’ follows the story of the Apulia (Italy) emigrants who landed in the United States with nothing, and yet from the 1920s to the 1960’s, these people dominated the ice business in the state of New York. A business that, until the popularization of refrigerators, was very stable and booming. Click here to learn the the answers to those questions and for more information about the documentary. You are currently browsing the Puglia Connection Blog blog archives for September, 2015.